I'm not sure how it is where you are, but it is flat out cold where we are! With all the snow and freezing temperatures I just want something warm and comforting for dinner. 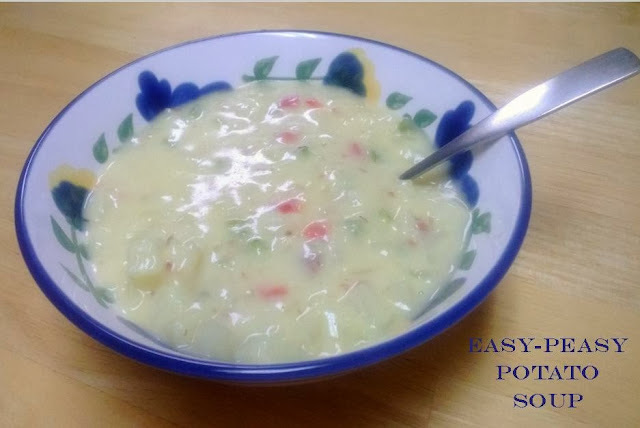 This super easy potato soup is on my go to list of quick winter dishes. It takes about ten minutes to make and only has three basic ingredients. (I've listed some variations that we have tried.) I like to keep the ingredients on hand so that we can whip up a batch in no time. Combine chicken broth and gravy mix in a pot and whisk together until completely mixed. 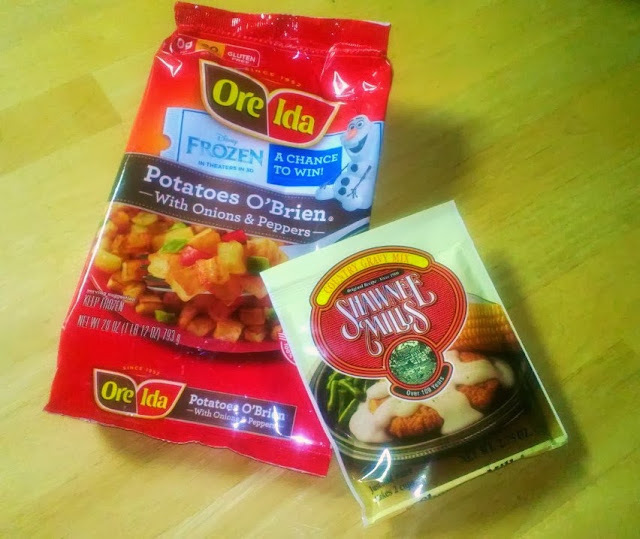 Add the Potatoes O'brien. Bring to a boil then lower heat and cook for about 10 minutes until the potatoes are heated through. Enjoy! We are onion lovers in our house so we often saute onions in the bottom of the pan before we add the rest of the ingredients. Adding a cup of salsa gives it a little kick. Try adding some bacon bits and cheese. For a chowder type of soup add a can of cream of chicken and some corn. This recipe is also good in the crock pot on high for two hours then on low for the rest of the day. you think your family would like. The batch can easily be doubled if you have company. The left-overs can be reheated or even frozen for later.